This will be my first vegan Easter, but definitely not my first vegan Easter egg! 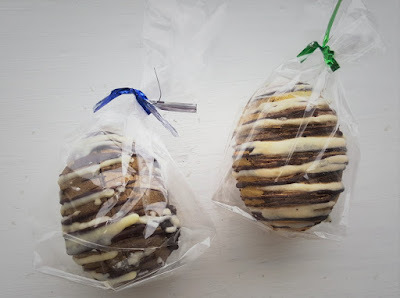 A couple of weeks ago I saw Anjuli's vegan easter egg post (read it here) and was inspired to create my own. 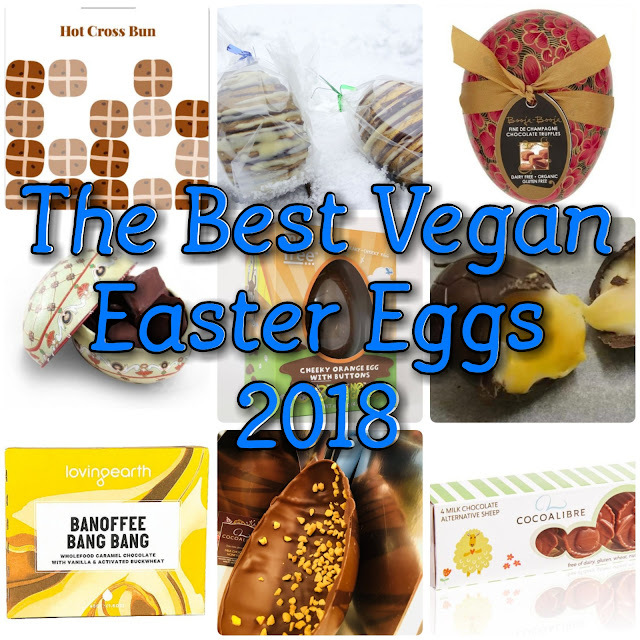 A general browse shows that there are many vegan Easter products but they tend to be dark chocolate. Dark chocolate is ok but I prefer milk chocolate so I dug further and these are my top finds. 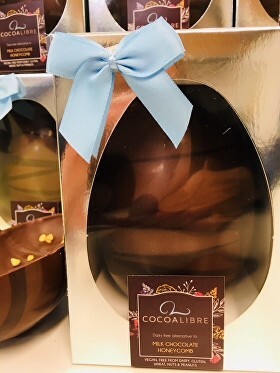 Whoever said Easter eggs had to be a chocolate shell was wrong! I adore #FabFudge. I never liked fudge until I tried their small batch, handmade vegan-friendly varieties (before I was even vegan). 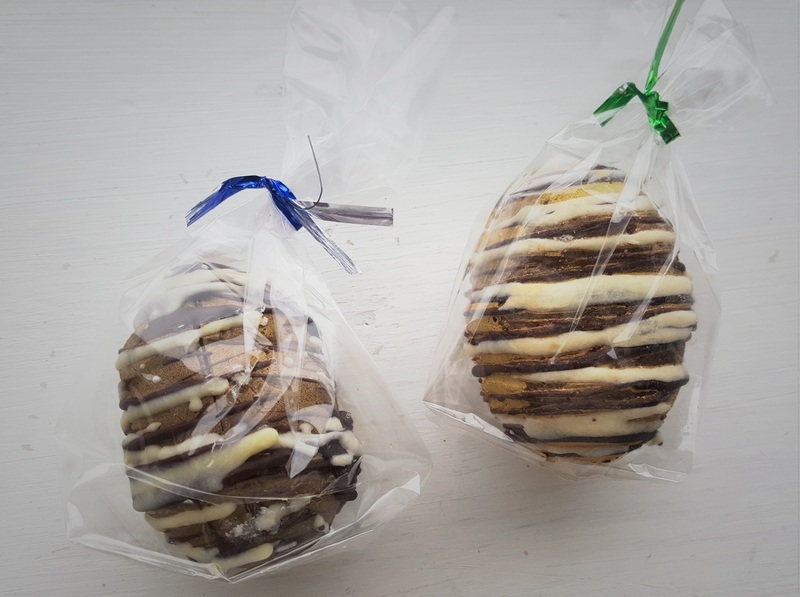 This year they created a very limited edition solid fudge creme egg. In fact, I have two in my fridge. Well... 1.5. Whilst they may not have a runny middle like a creme egg, they actually taste like the actual fondant filling. A luxury treat where the profits go towards MS treatment by the creators. 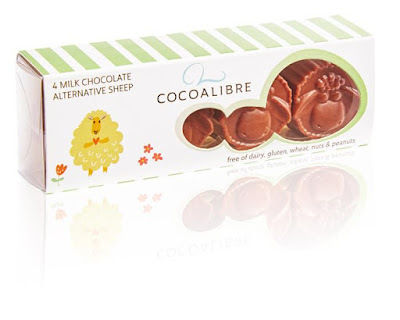 I tried Cocoa Libre at Bristol Veg Fest and it was hard to believe that they were completely vegan. They taste so creamy and melt in your mouth. Just what you'd expect from dairy chocolate! I loooove honeycomb so I think this may be the one I would most like to try. Yes yes, I know this isn't an egg, but that doesn't stop this from being super Eastery. Now, actual hot cross buns just don't do it for me but having tried this chocolate my god! It is delicious. Essy & Belle do a few other intriguing flavours like avocado and gin. So this chocolate is the only dark chocolate on this list but this is forgiven by this amazing looking fondant filling. 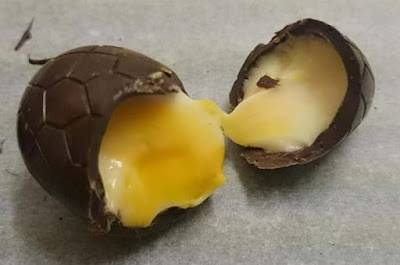 When I ate cream eggs, it was never the chocolate I liked but the filling. I think I am going to buy a few of these and turn them into scotch-creme-eggs. 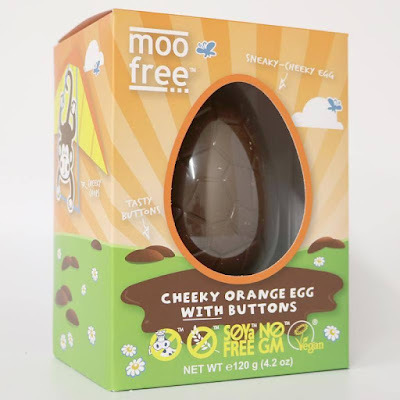 MooFree are one of my favourite vegan chocolate companies. I ran a very successful No offer Easter egg giveaway last year and had the orange egg to myself. Yum yum! I also really like their honeycomb flavour last year and will probably have another this year, as we know I adore chocolate orange. They also do a delicious honeycomb egg. Keep your eyes peeled as I have seen these eggs on offer in a lot of supermarkets. As I've mentioned, Cocoa Libre is simple delicious. These would make cute little gifts for kids (and adults like me!) I would be very happy with some chocolate sheep this year. They also do Easter chicks. 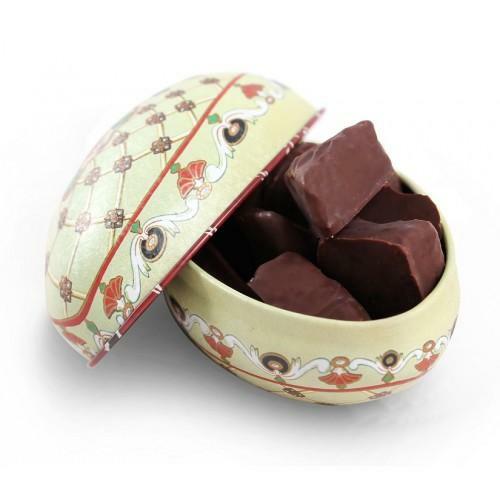 Booja-Booja are a pure, luxury chocolate brand. One of their eggs won a taste test award this year and are one of the most desirable eggs this year! There are a range of flavours for all tastes. I would pick their champagne flavour. The beautiful egg shaped packages are hand painted in Kashmir, India and packed in Norfolk. A great gift to spoil someone special with. 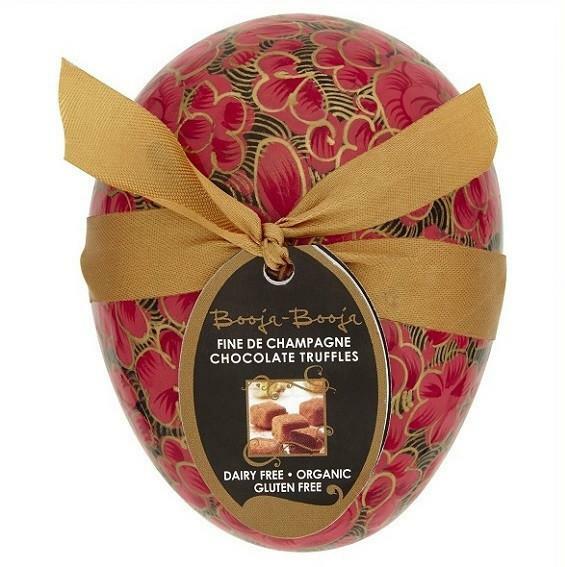 These generous sized chocolates come in a beautiful, decorative egg. Biscuit is listed as one of the ingredients so I can imagine these taste amazing. I think the little cases they come in are adorable and come in many unique designs. I know, another non-egg on this list but come on! With that tempting flavour how can I not have it on the list? 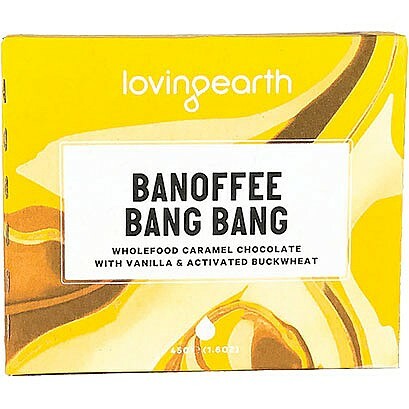 I have been following Loving Earth on twitter for a while now but am yet to try them. I think the banoffee flavour sounds soooo good but the salter caramel flavour also has potential to be amazing. All of these chocolates I would be over the moon with. Now I just need someone to send me them. Feel free to ask for my postal address *hint hint*. Which would you most like to try? Is there a vegan Easter egg you really want that I haven't mentioned? I know! It would be a dream come true to receive one of each. Not sure if my stomach would appreciate all that chocolate though! I know! veganism is growing so fast now, it's great. There are loads more vegan options too that are readily available in the supermarkets but they tend to be dark chocolate. Green and Blacks do a yummy looking dark mint egg available in most places this year. 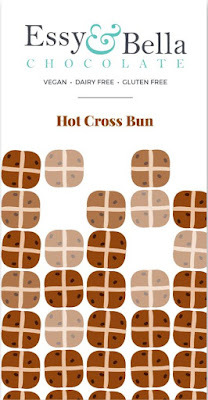 The hot cross bun chocolate bar sounds amazing. Definitely going to try to get that and the #FabFudge! It is. I think my sister got the hot cross bun choc for me last year. I didn't even realise it was vegan at the time. Each of these look so tasty!!! Of the ones I have tried, I can confirm that they are! If you are a chocolate fan then you have probably consumed vegan chocolate many times in the past already without realising. Most dark chocolate is accidentally vegan. Not just vegans but also those with dairy intolerance's. Vegan chocolate is not new as most dark chocolate is already accidentally vegan but I think it is great to see more milk chocolate being made suitable using plant based milks instead of cow breast milk. Definitely. If you think their Easter products look great, you should see the amazing chocolates they sell for the rest of the year. I actually got the Booja Booja one, I was beyond disappointed, you get 3 truffles, they were nice but for the price just a bit much! What a pity. I know there are only 3 in the small one. I think there are 9 or so in the larger one but the price is obviously much higher. I like to think that with this small one, you are getting a little taster in a beautiful box you can keep. 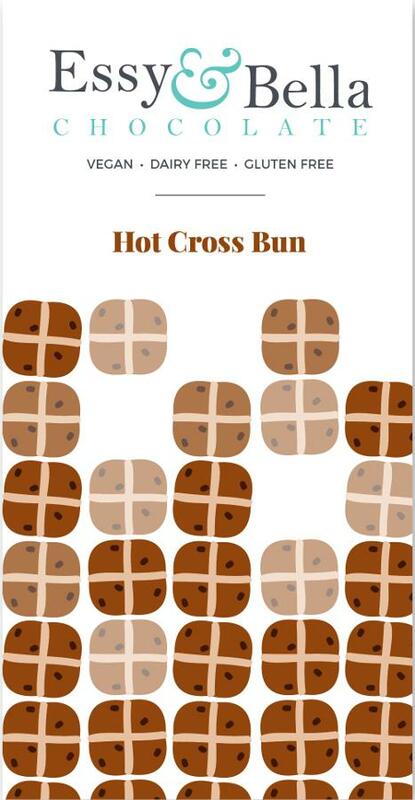 I love that hot cross buns chocolate. chocolat on your first vegan Easter! It was really good, especially if you like cinnamon.